Make tiny feet look even cuter with these ankle length socks from Cute Walk by Babyhug. 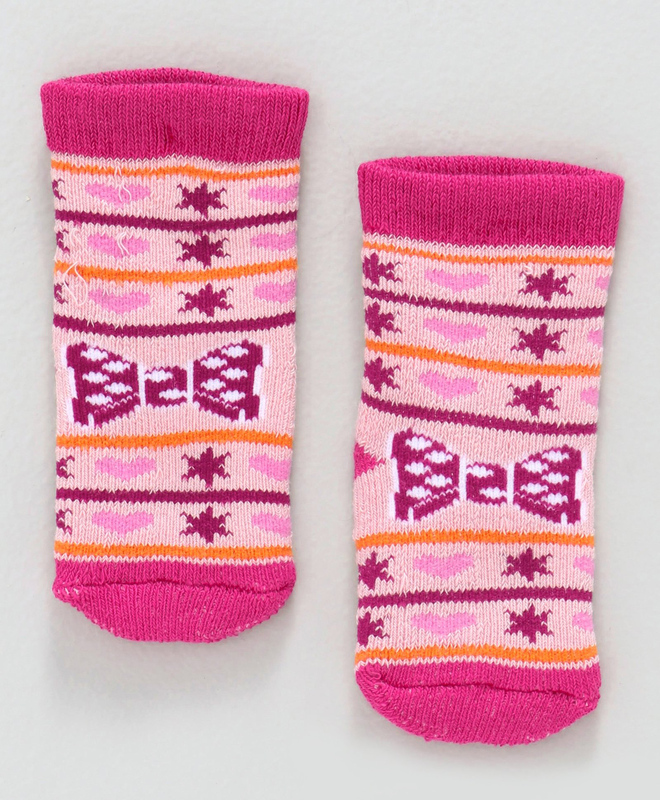 Crafted from a soft fabric with 'star' design, these socks are sure to brighten up any outfit. These socks have a pressure-free sensitive elastic to ensure hold without tightness. This pairs of soft fabric socks will provide comfort all day long.